Lincoln Heights— A 100-unit apartment complex and extended-stay hotel have been proposed for a site about three blocks from the L.A. River and across the street from the popular St. Vincent de Paul thrift store, according to a filing with the Planning Department. The development is one of several large proposed projects that would transform the mostly industrial area with new residences and commercial spaces. The approximately 114,000-square-foot project in the 100 block of Avenue 21 at Barranca Street also includes 4,700 square feet of commercial space. 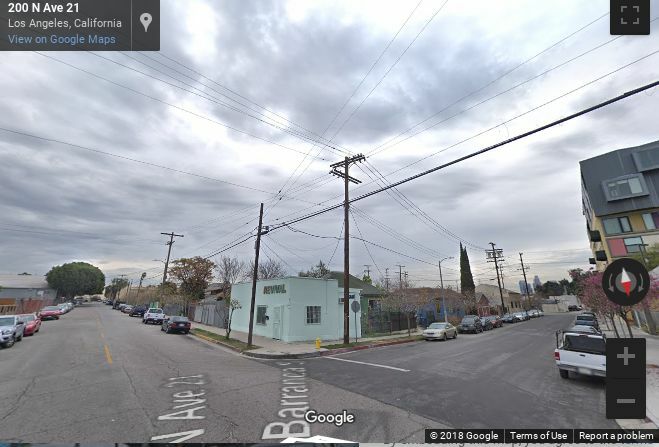 Echo Park-based developer 4Site, which has built several large apartment buildings on Temple Street in Echo Park and Historic Filipinotown, is seeking city permission to be exempted from specific planning rules that apply to the area. The area is currently mostly small single-family homes, auto repair shops that near the St. Vincent de Paul and a Goodwill thrift store. In addition, the multi-storied Alta Lofts rises on the block at San Fernando Road and Barranca. Further north on San Fernando Road, the city has taken initial steps to team up with Goodwill to redevelop several sites that include a city sanitation yard, says Urbanize. Meanwhile, about three blocks away by the L.A. River, the city is also working on a deal with private developers to turn the former Lincoln Heights Jail into a residential and commercial project.